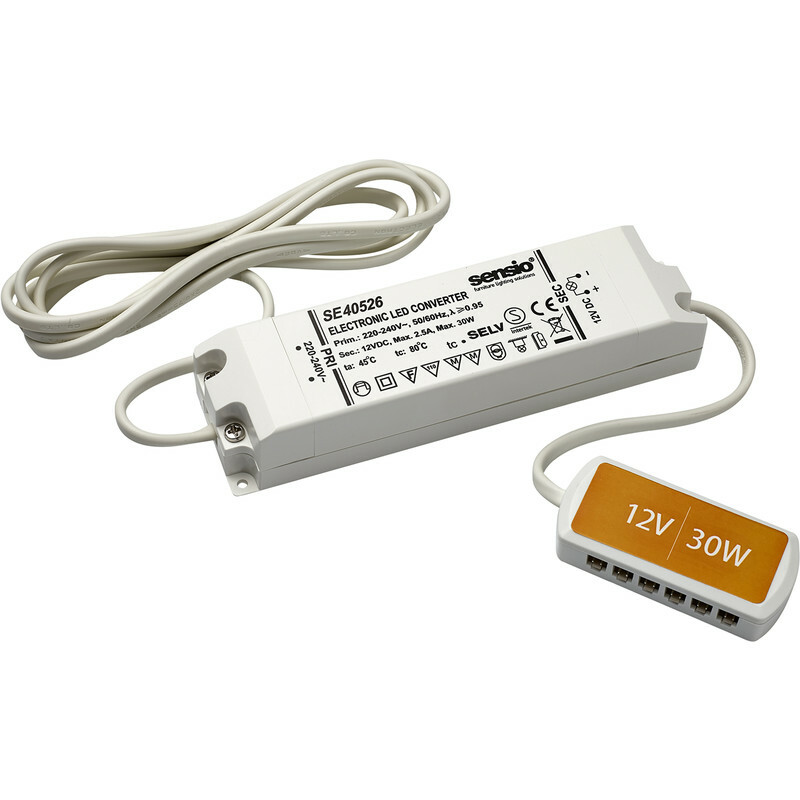 Sensio LED Electronic Driver 30W 12V + 6 Way Connector is rated 4.3 out of 5 by 12. Rated 5 out of 5 by MuzzyNotIzzit from It fixed a problem Sourced this for a direct replacement of a failed driver for a bathroom mirror. It brought the led mirror back to life. Bravo. Rated 2 out of 5 by PatA from Wrong driver for lights in catalogue Bought the driver with one of the lights on the same page of the catalogue to go with a spare one I already had. After spending ages fitting them up, found out the driver is 12v not 24v like the lights. Toolstation don't stock the 24 version so got a refund. Why stock the wrong driver?